I love this guitar! Prince played a blackburst one on his last tour. 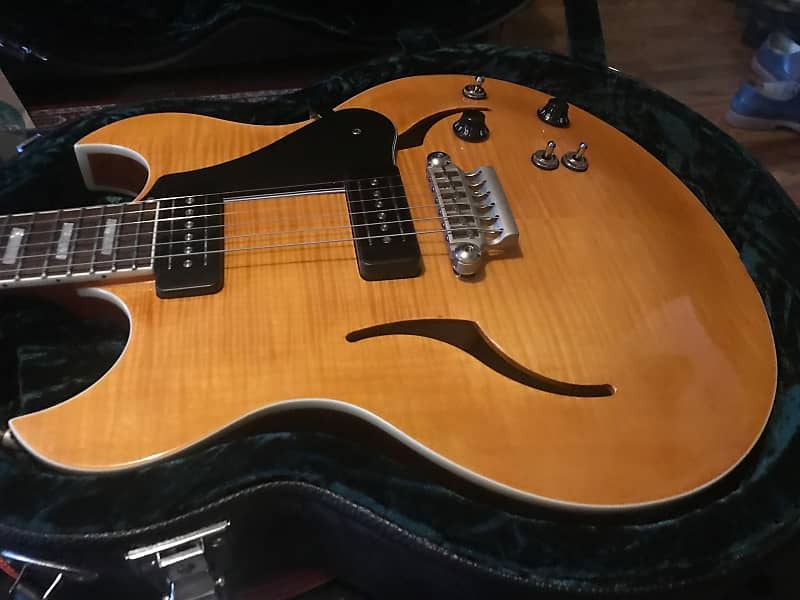 This guitar is lightweight, good looking, great sounding, easy playing and versatile. 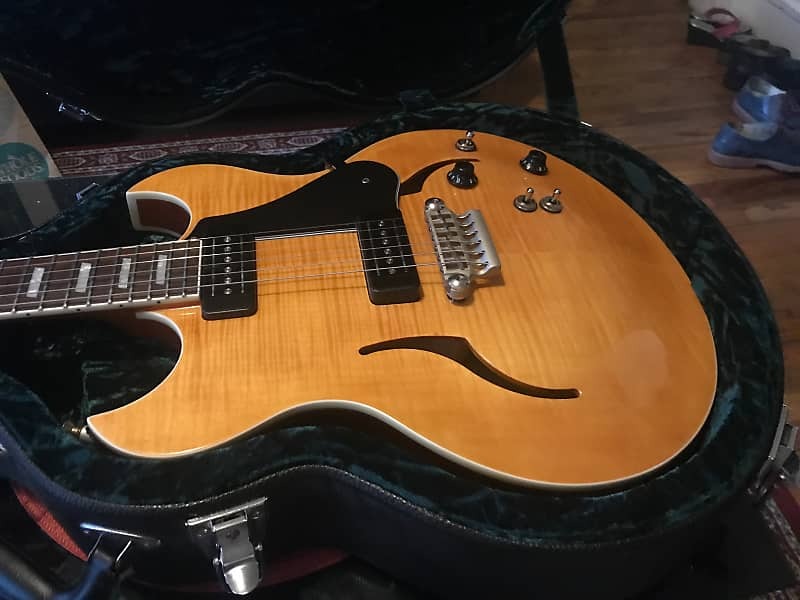 I played a bunch of these and tried to find the best playing one, so, in my opinion, this is the best version of this guitar you're going to find. Great upper fret access. I've played one gig with it. 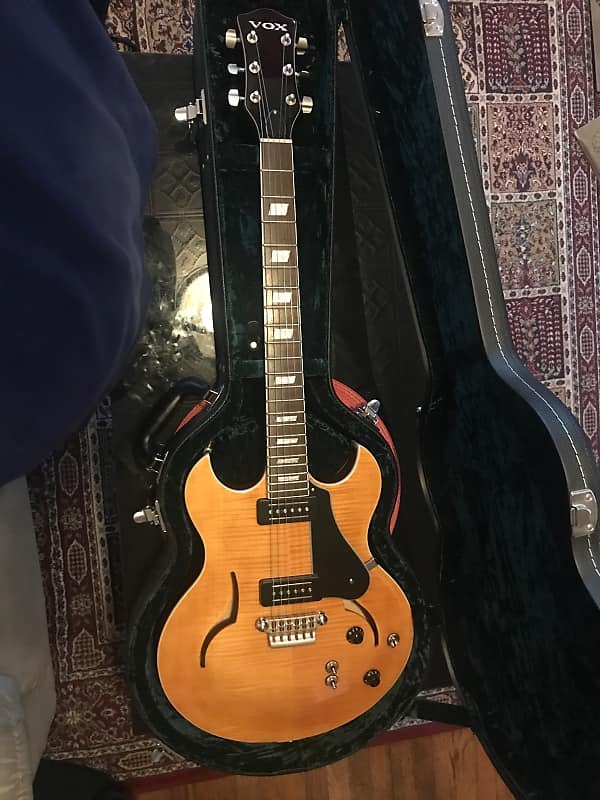 It has a very unique pickup setup, with a 3 way switch for each pickup to sound like Strat, P90 and humbucker. Master volume, master tone and normal 3 way switch. 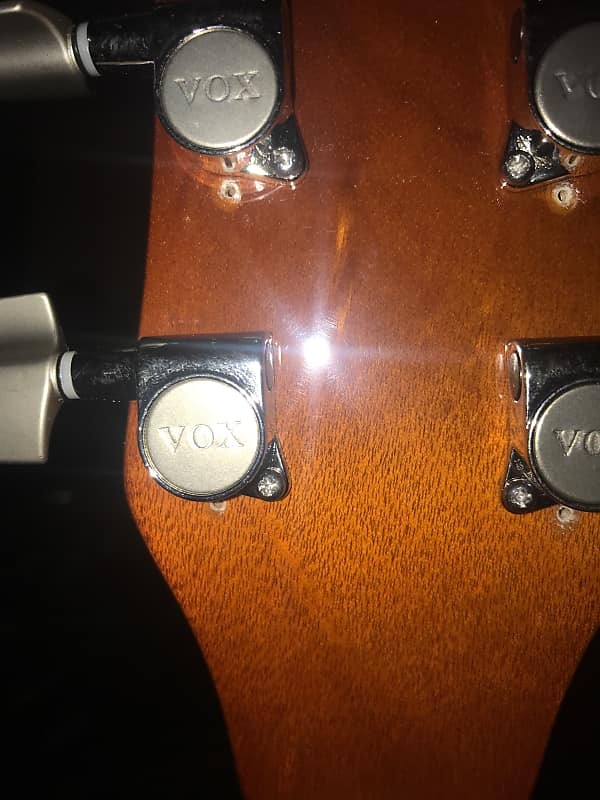 The only flaw is holes I made to try planet waves auto trim tuners on it, you can't see them from the front of the guitar. 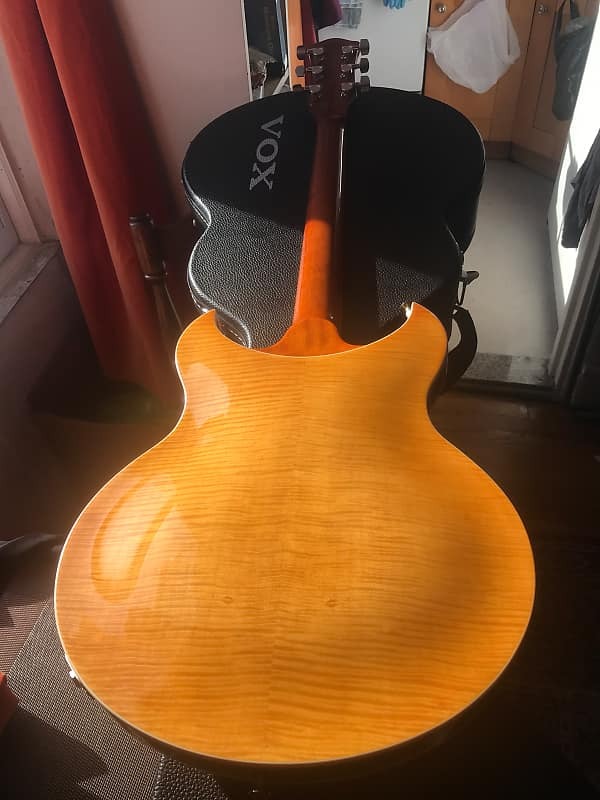 In a rare amber color. Made in Korea. Originally $1400 price tag. Comes with the original hard shell case in excellent condition. Comes with all the case candy. 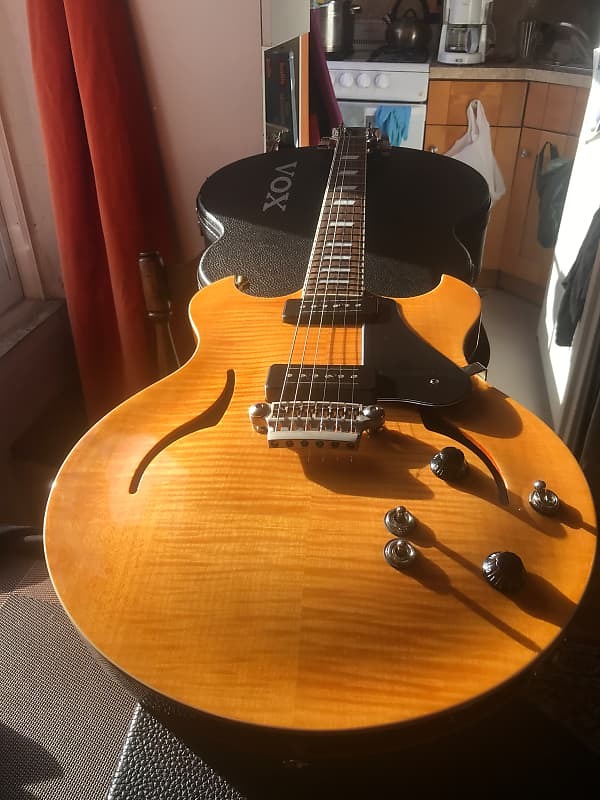 The Vox HDC-77 semi hollow body guitar was introduced in 2010 and includes many of the features and design cues from the Vox Virage guitar series. The body of the HDC-77 is curved in three dimensions. It not only features a conventional arched top, it is also curved along its length from the heel of the neck to the bottom of the guitar. This concave wrap around design nestles the body of the guitar to the player, and makes the HDC-77 very comfortable to play with a strap or while sitting down. The sides of the guitar are actually routed from a solid piece of wood. 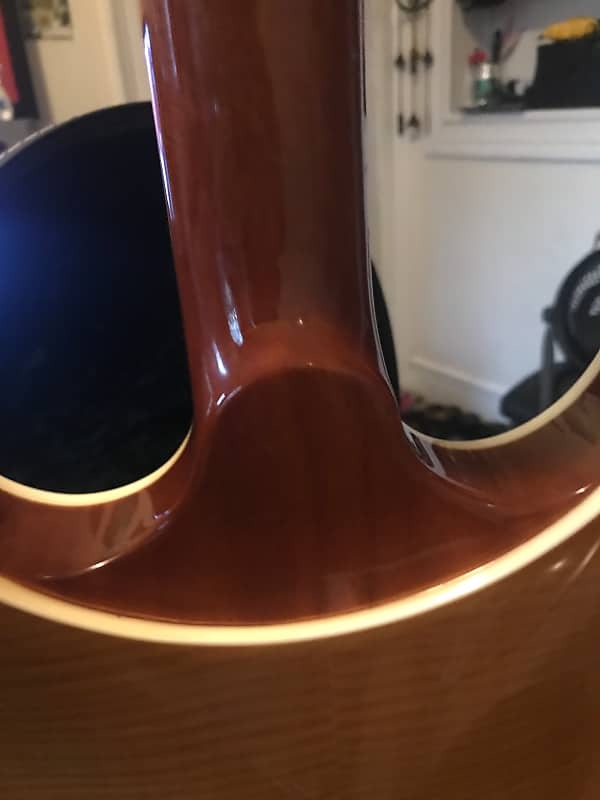 This wooden rim also incorporates two tone bars that attach to the center of the top and back of the guitar. This unique construction technique was originally developed for the flagship Vox Virage guitar. The all aluminum, micro adjustable Max Connect TMbridge is fastened to these tone bars for maximum sustain with minimum feedback. The neck joint features a contoured heel that allows easy access to the highest frets on the guitar. Twin CoAxe TM pickups use a unique technology that allows the guitar to produce both single coil and humbucking tones from a dead quiet twin coil design. Each pickup has a three position tone switch that allows the selection between a biting single coil, a P-90, or traditional humbucking tones. 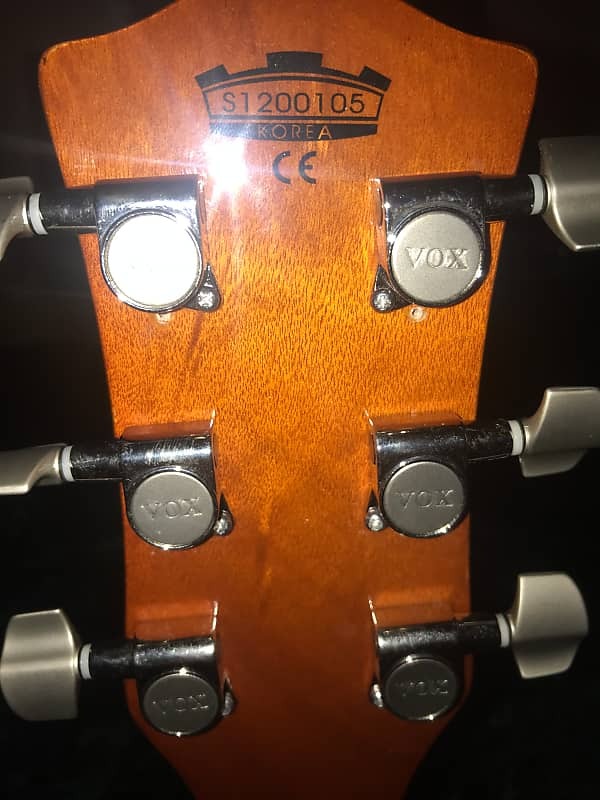 Cast Super Smooth Vox tuners facilitate a stable tuning environment for the HDC-77. 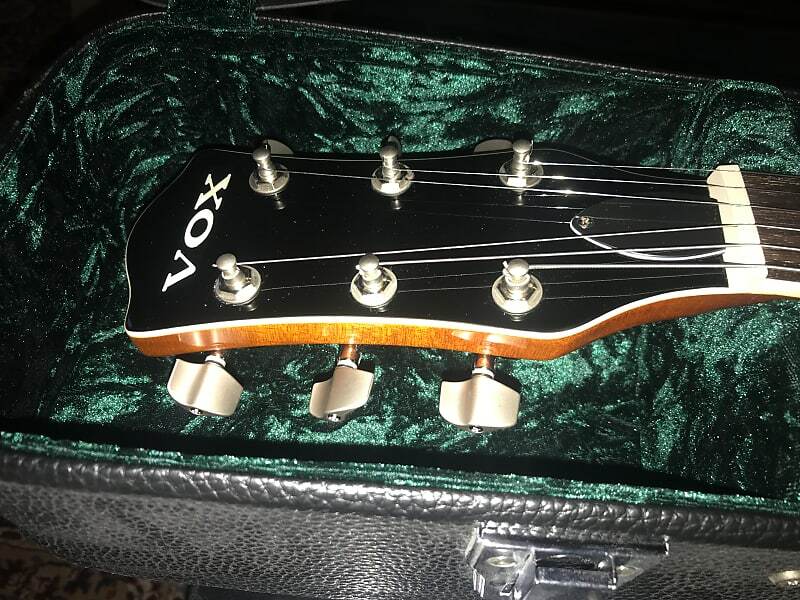 The Vox HDC-77 boasts the MaxConnect aluminum bridge, along with brand-new whisper-quiet CoAxe pickups. These pickups are capable of conjuring single-coil spank, smoky humbucking tones, or P-90 sounds at the flip of a switch. The set neck features an inverse heel design and deep cut that offers unobstructed access to the upper frets. The bound fingerboard is inlaid with parallelogram mother-of-pearl.